We offer for rent a good standard apartment located in a modern Angel City development, just moments from main Market Square, in a neighborhood of a huge shopping mall and a central station. Hamilton May is pleased to present a modern, brand new apartment located in the green neighborhood, in the vicinity of the city center. Hamilton May is pleased to present a spacious, modern two bedroom apartment located in the vicinity of ICE Congress Center. Hamilton May presents a unique, two bedroom apartment located in a townhouse at Urzędnicza street. Zabierzów Business Park - a part of the so-called Kraków's Special Economy Zone - was developed in 1997 and to this day remains one of the most modern business centers in Poland. The entire investment was based upon the design and finishing of the existing high standard American structures. As the result of this ambitious premise - additionally enforced by a large number of qualified employees - the Zabierzów Business Park became a vital asset of the entire Malopolska region. The development is situated by the north-western section of the city bypass, which guarantees smooth communication opportunities: the A4 freeway (Kraków - Katowice), as well as the Balice Airport can both be reached in just 5min. The center of Kraków is only 13 km away, and it only takes 40min to reach Katowice. Moreover the development comes with its own train station, for even more convenient transportation. 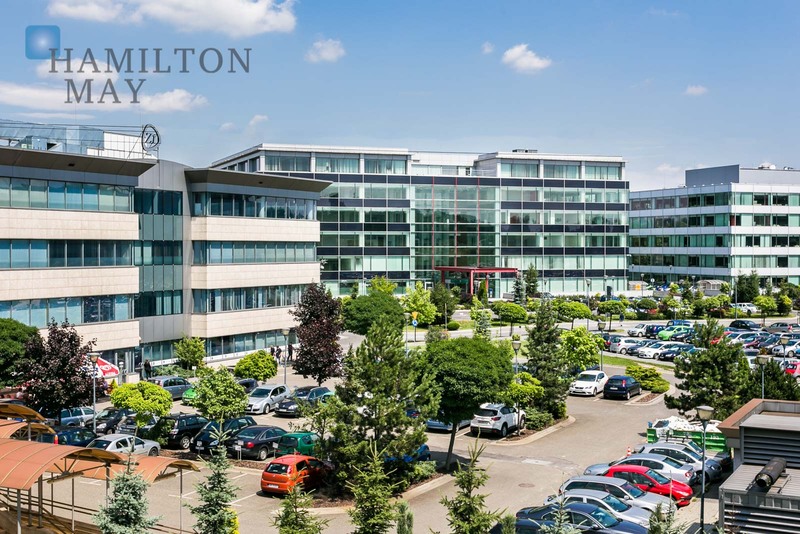 Hamilton May regularly receives inquiries from various individuals and entire families moving to Kraków, searching for apartments available for rent in the vicinity of Zabierzów Business Park. Our Agency provides a wide choice of meticulously selected properties, which meet the typical criteria; floorspace of at least 80m2 and property's layout featuring two or more rooms. Such properties usually come with a garage or a parking spot, that are so sought after by a vast majority of tenants.